‘le coq sportif’ is a renowned sporting brand originating in France.‘le coq sportif’ means “a cockerel that loves sports”. Besides its popularity in international sporting scenes, it has gained much recognition in the lifestyle scene of young women in Tokyo. 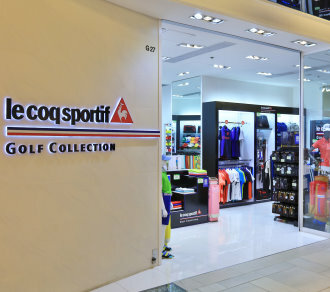 In Hong Kong, ‘le coq sportif’ is renowned for its quality sporting apparels as well as a leading sports-fashion brand.